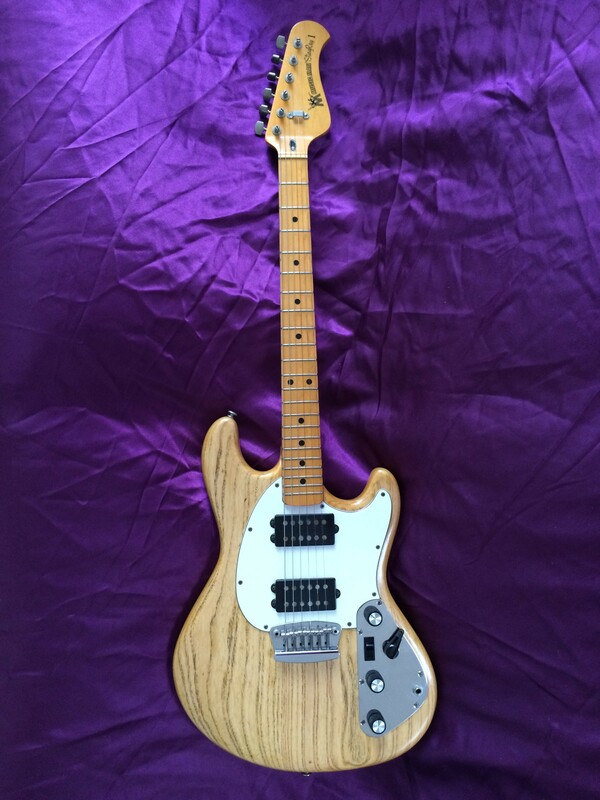 Rare, completely orginal and a wonderful example from the early days when the Music Man brand was very cool. This particular Stingray is one of the first 500 made in 1976 with the white scratchplate and the retro contol knobs. The lovely wood grain on this guitar is quite something. Leo Fender applied a long list of innovative ‘improvements’ to what he saw as the next evolution of his past classics. Way ahead of its time, it was the first production guitar to use a battery powered pre-amp. The Stingray guitar was only made between 1976 and 1982, as it proved unpopular with conservative guitarists who didn’t understand how to get the best out of the active electronics, and who didn’t like the ‘new’ design. Internal politics didn’t help and the model disappeared before Music Man was consumed by the massive Ernie Ball empire in 1984. While the Stingray bass continued in production, sadly, the guitar didn’t. For those in the know, though, this is a really great axe and a hugely underrated hidden gem. I bought the Stingray from Ross Godfrey, guitarist with Morcheeba who bought it from the original owner in Albuquerque, NM, USA.